Large businesses have a new friend in the Greens who are set to block the Abbot government’s plan to slash R&D tax breaks by $1.1 billion. The unlikely allies have made nice in the face of the potential loss of millions of dollars to Australian businesses. The ALP have also jumped on the band wagon in support of the Greens, who are lobbying minor party senators to oppose the savings measure. Labor’s amendment would allow small to medium businesses to claim the R&D tax breaks quarterly instead of once every financial year. The government’s proposed cuts would stop larger companies with over $20 billion in revenue in claiming the R&D tax credits, likely hitting those big powerhouses like Telstra, BHP Billiton, Rio Tinto and Caltex, the most. The bill, originally introduced by the Labor party, dictated the savings be reinvested into manufacturing to boost the struggling Australian industry. After the 2013 election however the Abbot government said it would instead pocket the savings , arguably in order to reduce national debt. 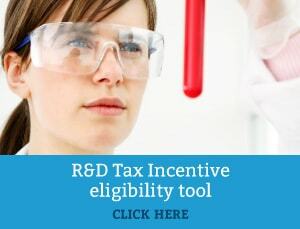 The effect of the Green’s amendment, which may secure labor and cross-bench support, would be that multinational companies could still claim tax breaks on R&D and smaller business would have improved cash flow on qualified R&D activities. Green’s deputy leader, Adam Bandt said R&D cuts would not only hurt larger companies but would have a knock on affect to small business and university research. “The cuts will contribute to the brain drain, sending company R&D offshore, which will undermine investment and growth”, he said. The legislation was supposed to be introduced to the Senate this week but has been delayed by negotiations over the $2.1 billion Roads to Recovery program.